Palazzo developed by Lanterra is the third and final phase at Treviso. Conveniently located near Yorkdale shopping mall, close to TTC, subway, parks and more. This Italian inspired condominium will feature elegant suite designs and spectacular amenities. 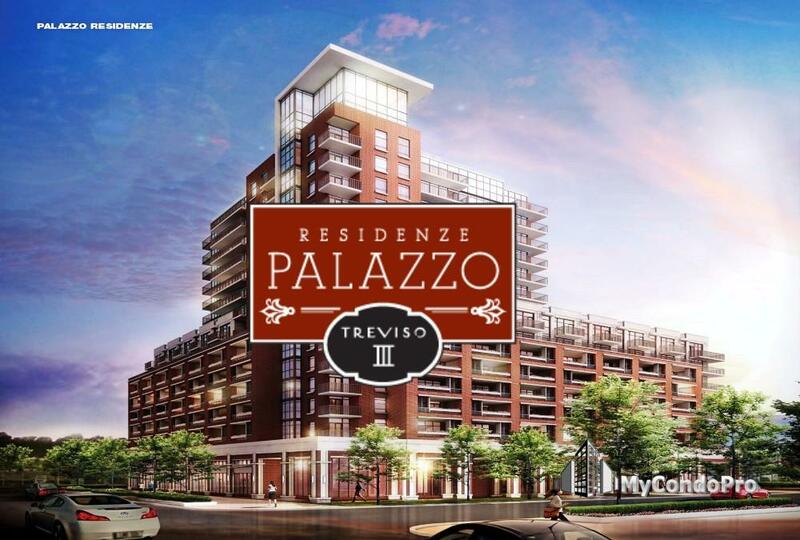 Residenze Palazzo at Treviso 3 is a new preconstruction condo development by Lanterra Developments located at Lawrence Ave West & Dufferin Street in Toronto. Final phase of Italian inspired living in Toronto. Residenze Palazzo at Treviso 3 will have a Mix units of Studio, one bedroom, one bedroom plus den, two bedrooms and two bedroom plus den units. Residenze Palazzo at Treviso 3 is currently in registration phase and will be the last and Final phase of Italian Inspired Living in Toronto with one Acre Public Park Design By NAK.